Covet New York will happen! We want you to know more about this Showroom! Covet House wanted to have his presence in one of the most iconic cities of all time, so Covet NYC will happen soon! If you’re thinking about visit The Big Apple, you must visit this Showroom! DISCOVER MORE: EQUIPHOTEL NOVEMBER 18: WHEN PARIS AND LIGHTING PIECES MEET HALFWAY! Covet House has his special place in the most iconic cities, such as London and Paris, but now New York is the city choosen to open the Covet NYC where you will be able to get the luxury experience! Furniture, lighting pieces, accessories will be there to enchant you! The ultimate experience is going to be you surrounded with the high-quality craftsmanship made by the most skilled artisans in Portugal, who work with a great passion. 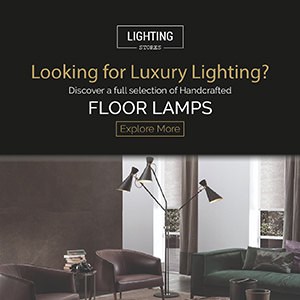 Here you’ll find the most luxurious brands, such as Boca do Lobo, DelightFULL, Essential Home, Luxxu, Brabbu, Circu, Pullcast, Rug’Society, Foogo and Koket! For example, here you have Waterfall Pendant by Luxxu and the Lapiaz Console by Boca do Lobo, a great option for your home entrance. Another example of luxurious and modern, in this bedroom you can find Simone Wall Lamp from DelightFULL, an incredible reading light. Also Circu’s Cloud Lamp, an awesome light for your kids bedroom! A good example of an office, where you can have Duke Floor Lamp by DelightFULL and Charla chair, they can match perfectly. Covet NYC will have his place in one of the most important avenues in New York, Madison Avenue! This project is a collaboratio between Covet House and Tessler Developments. Here’s a relevant information, this project is called “The Mansion” and it will have his official opening all week between 12 and 17 November 2018, so make sure you’ll be there. BE INSPIRED: MID CENTURY SUSPENSION PIECES THAT ARE READY TO BE YOURS!